The word 'static' is derived from the Greek word 'statike' which means bringing to standstill. In physics, it means a state of rest where there is, no movement. 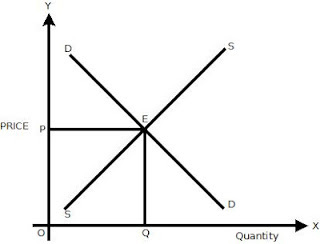 In economics, it implies a state characterized by movement at a particular level without any change. It is a state, according to Clarke, where five kinds of changes are conspicuous by their absence. The size of population, the supply of capital, methods of production, forms of business organization and wants of the people remain constant, but the economy continues to work at a steady pace. "It is to this active but unchanging process", writes Marshall, "that the expression static economics should be applied". There is neither past nor future in the static state. Hence, there is no element of uncertainty in it. Prof. Kuznets, therefore, believes that, “static economics deals with relations and processes on the assumption of uniformity and persistence of either the absolute or relative economic quantities involved”. Where Y is the total, C is the total consumption expenditure and I the total investment expenditure. It simply shows a timeless identity equation without any adjusting mechanism. Thus, economic static refer to a timeless economy, it neither develops nor decays, it is like a snapshot from a ‘still’ camera which would be the same whether the previous and subsequent positions of the economy were subject to changes or not. 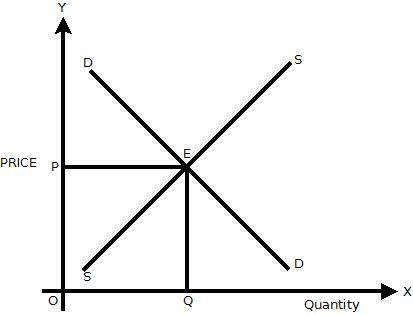 Comparative macro statics, is a method of economic analysis which Was first used by a German economist F. Oppenheimer, in 1916. Schumpeter described it as, “an evolutionary process by a succession of static models. In the words of Schumpeter,” Whenever we deal with disturbance of a given state by trying to indicate the static relations obtaining before a given disturbance impinged upon the system and after it, had time to work it out. This method of procedure is known as,”Comparitive statics”. To be precise, comparative statics is the method of analysis in which different equilibrium situations are compared. Macro dynamics, on the other hand, is the study of change of acceleration or deceleration. It is the analysis of the process of change which continues through time. An economy may change through time in two ways: without changing its pattern and by changing pattern. Economic dynamics relates to the latter type of change. If there is a change in population, capital, techniques of production, forms of business organizations and tastes of the people- in any one or all of them- the economy will assume a different pattern, and the economic system will change its direction. Ragner Frisch, however, regards economic dynamics not only a study of continuing change but also of the process of change. According to him, it is a system in which; "variables at different points of time are involved in an essential way". 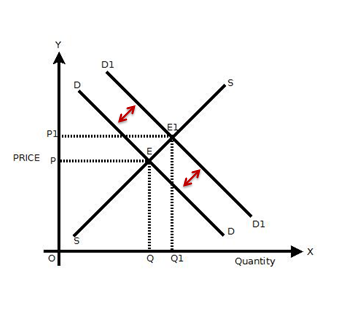 Thus, the study of economic dynamics involves the discovery of functional relationships of economic variables at different points of time. The knowledge of such relationships is essential for forecasting. Prediction, thus, becomes the essence of the Frischian definition, according to Baumol economic dynamics is, "the study of economic phenomena in relation to preceding and succeeding events". Economic dynamics is, thus, concerned with time lags, rates of change. In a dynamic economy, data change and the economic system take time to adjust it accordingly. We may conclude with the words of Prof.Kuznets, "economic theory, which seeks to explain the phenomenon of economic change, and to examine the factors at work in bringing about a given change and trace the process of that change and the consequences of succeeding movements step by step is called economic dynamics".